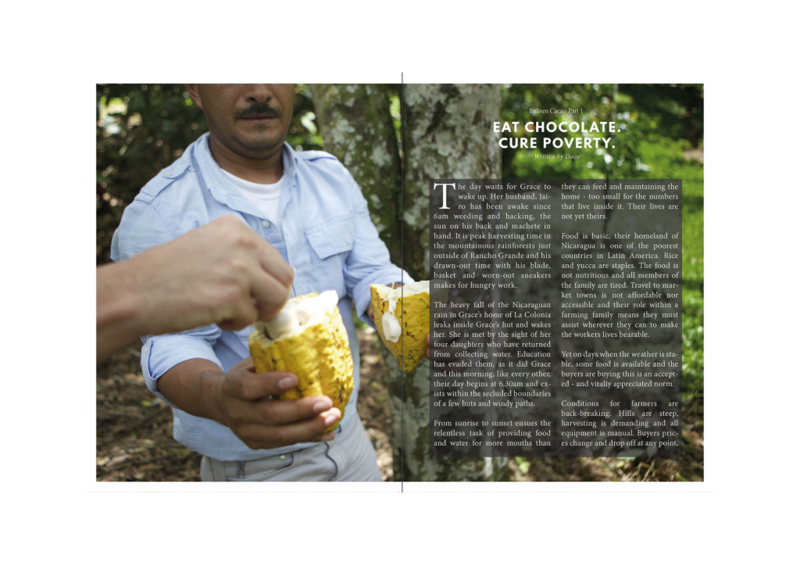 Welcome to Cacao Magazine, the first international print magazine fully dedicated to craft chocolate. This project has never been about us and we couldn’t have done it without the team effort of everybody involved. 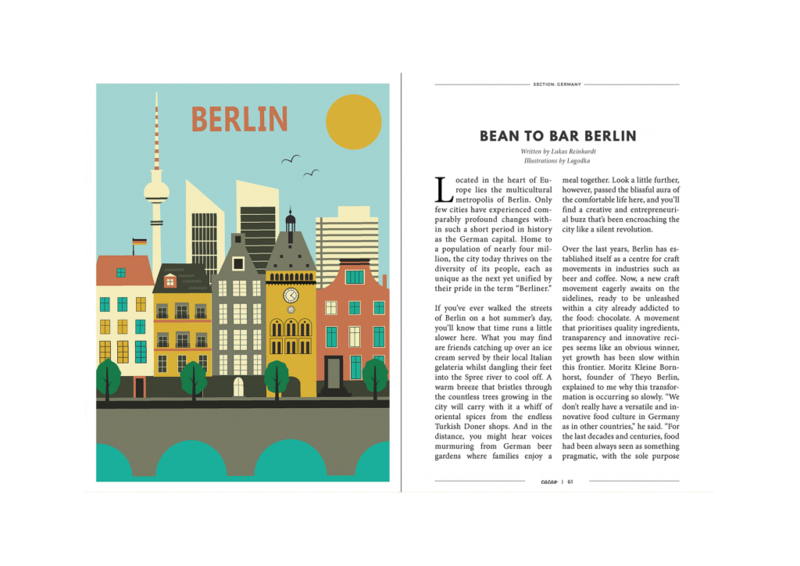 This magazine is brought to you by the amazing chocolate makers, bloggers, farmers, writers, illustrators and enthusiasts all over the world who make up this fascinating, delicious and up and coming industry. Delicious chocolate recipes, and so much more! 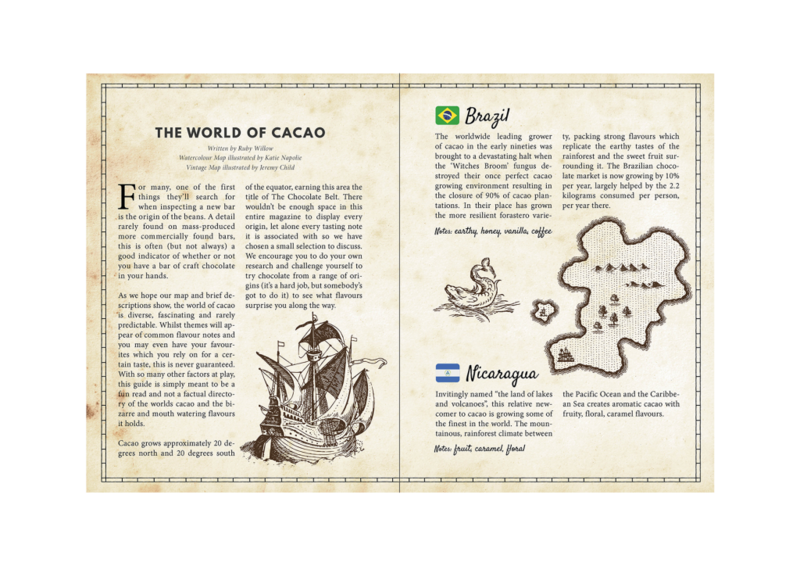 Does Cacao Ship Internationally ? We ship to every corner of the globe from Berlin, for a flat rate fee of £3.95 ($5). Shipping two magazines will cost £6.50 ($8.50). When will I recieve my Magazine ? Our magazines will be fresh off the printer on the 29th of March. After this, they will be shipped out every Wednesday from Berlin and will take between 8 – 15 business days to arrive. You can pay using all major credit and debit cards or Paypal. Questions about your order? Let us know! Send us an email at team@readcacao.com and we will do our best to help you out! Made with ❤ by Cacao.